Two thirds of Americans are worried about the high cost of living and declining wages. Countries owe the central banks trillions of Euros.The Fed has made their move they raised rates and are now on track to mimic 2008. Once the new rates take effect we will see a complete breakdown of the economy, this will accelerate, they are going to shift the blame and say it is Washington’s fault the country is in a recession, this happened because of tax cuts and tariffs. It seems Imran is working for a Clinton law-firm. Congress and POTUS will be briefed on the IG report, expect an event in the next day of so. Power is out across Crimea. A missile was launched and it was intercepted, the military has denied they launched a missile. Another missile was launched and it was intercepted. This is not a game. Iran’s President is now thinking about withdrawing the troops from Syria. The OPCW says that sarin and chlorine were used in the March 2017 attack in Syria. Q drops more bread crumbs, these talk about attacks on Q, missle launch, and what is to come. If one listens to the NFIB small business survey, or for that matter any of the other periodic confidence surveys over the past year virtually all of which are at or near record highs, life in the US has never been better. So maybe America is truly living through a golden age. Then again, maybe not, because as the latest consumer attitudes survey from Bank of America shows, while consumer sentiment was little changed, if elevated, in May, most respondents continue to report high costs of living and tepid wage growth as the main concerns to their financial situations. As one would expect, the top concern varied by age group, with younger respondents (those in their 20s) reported difficulty in finding jobs to be the second biggest risk as respondents in this group are more likely to be students looking for employment opportunities. Meanwhile, for the older cohort (60 and up), financial security is the biggest concern as stock market crash ranks high on the list. Capital flight to Germany, the Netherlands, and Finland is in full swing. These sums cannot be paid back. The central banks of Germany’s euro partners Italy, Spain and France owe the Bundesbank almost a trillion euros . This is a new high. – more than ever before. Tendency continues to rise. There is no security for this money. Italy is €464.7 billion in the hole. Spain is €376.6 billion in the hole. Creditors owe Germany, the Netherlands, and Finland over €1.157 trillion. In May, Italian liabilities increased by almost 40 billion euros. Originally, Target2 was designed to facilitate cross-border transactions within the eurozone. The system achieved this goal. From the point of view of critics, this means that the Deutsche Bundesbank provides long-term unsecured and non-interest-bearing loans to the central banks of other eurozone countries , especially the central banks of southern countries Italy, Spain and Portugal. Target2 is a fundamental problem of the Eurozone. The ECB guarantees these loans. As long as they are guaranteed, then why not make more loans? Germany will pay one way or another. Here are the possibilities. Germany and the creditor nations forgive enough debt for Europe to grow. This is the transfer union solution. The best move would be for Germany to leave the eurozone. Germany is in the best shape to suffer the consequences. Unfortunately, the most likely outcome is a destructive breakup of the eurozone, starting in Italy or Greece. Having signaled a rate-hike ‘no matter what’, The Fed delivered 25bps (as the market 100% expected), cut its reference to “rate below long-run levels for some time,” and signaled its expectations for two more rate-hikes in 2018. Why Does Imran Awan Work At His Clinton-Linked Attorney’s Law Firm? A stunning video by investigative journalist Jason Goodman of Crowdsource the Truth reveals that Pakistani IT worker Imran Awan is reportedly answering phones at the office of his attorney, Chris Gowen.Gowen notably worked for both Bill and Hillary Clinton in various capacities. Gowen is a founding partner of Gowen, Rhoades, Winograd and Silva law firm, with offices in Washington, D.C., and Philadelphia, Penn. Following the traditional process for releasing high-profile reports the Department of Justice – Office of Inspector General (DOJ-OIG) report will be released tomorrow with a briefing to congress and the president happening around Noon, and a public release at 3:00pm. Deputy Attorney General Rod Rosenstein will brief the President while senior officials from the DOJ will brief congress and their staff. The 500-page report will cover the DOJ and FBI conduct surrounding the Clinton classified email investigation, and was originally commissioned during the Obama administration to review whether the FBI and DOJ politicized the Clinton investigation and subsequent outcome. French President Emmanuel Macron has censured Italy’s decision to refuse debarkation to a migrant-laden NGO vessel as “sickening,” while scolding Italy for its supposed “cynicism and irresponsibility” in dealing with migrants. Early this week, the Italian government turned away the ship Aquarius, operated by the French-German NGO SOS Méditerranée, which has been conducting search-and-rescue missions in North African waters since 2015. Today the entire peninsula of Crimea lost power around 3:25 p.m., local time. “All Crimea and Sevastopol are without power. It’s down everywhere. We’re looking into the cause,” a source told the website. Locals have also reported problems with mobile phone service. Hassan Rouhani noted that Tehran had sent its military advisers to the Arab republic at the request request of its legitimate government in order to help Damascus fight terrorism. The Fact-Finding Mission (FFM) of the Organisation for the Prohibition of Chemical Weapons (OPCW) confirmed on Wednesday that chemical weapons were “very likely used” in Syria’s Ltamenah on March 24 and 25 2017, the OPCW said. “The Fact-Finding Mission (FFM) of the Organisation for the Prohibition of Chemical Weapons (OPCW), confirmed in a report released today that sarin was very likely used as a chemical weapon in the south of Ltamenah, Syrian Arab Republic, on 24 March 2017. The FFM also concluded that chlorine was very likely used as a chemical weapon at Ltamenah Hospital and the surrounding area on 25 March 2017,” the statement read. President Bashar al-Assad has launched a furious attack on Britain, America and their allies, accusing them of deliberately prolonging the civil war in Syria. Dismissing Theresa May as a colonialist and a liar, the Syrian leader claims Britain even helped stage April’s notorious chemical attack in the suburb of Douma and that its actions are giving support to the Islamic State terror group. NK – under the power of the black hats – launched one Sunday in hopes of stopping the summit. It was taken down by one of ours, launched from Whidbey Island on the West Coast. POTUS confirmed with his tweet yesterday. BHO is nowhere to be found from news accounts. Maybe Chicago? Q uses MISSLE on 12 22 and also 11 2 – both in relation to North Korea. ONE missile was missing from the USS John McCain. The Missing MISSLE was stoped. Remember how the Hawaii incoming missile alert was “false” and then Q said it was true? Deleted Q posts means AF1 was shot at with a stolen missile, successfully defended, and is now secured. Ref: VOL pic, POTUS Tweet(s), Missing letters…. Some areas we cannot expand on. 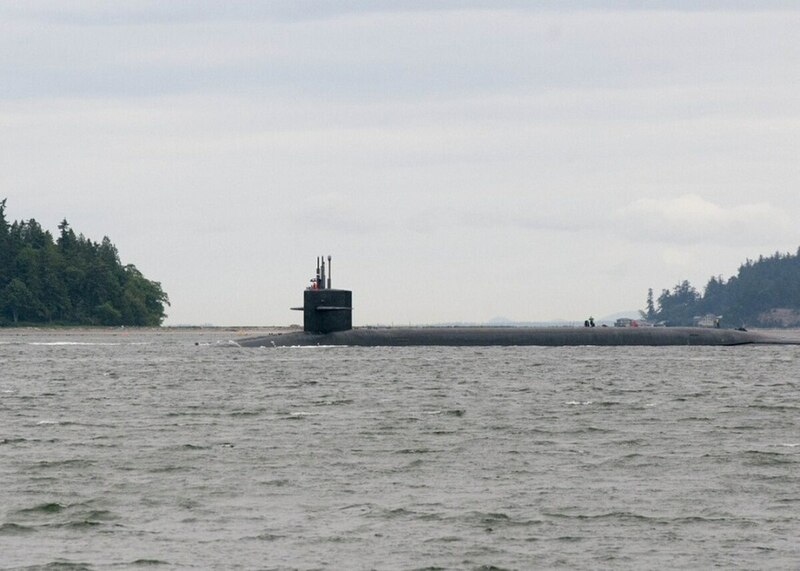 WASHINGTON — Cyberattacks sponsored by the Chinese government infiltrated a U.S. Navy contractor’s computers, allowing digital thieves to access sensitive data related to secret Navy projects on a submarine anti-ship missile. The information stolen was stored on the contractor’s unclassified network despite being “highly sensitive nature,” according to information obtained by the Washington Post. Just a reply to Q from last thread about Ingraham interview; It was an awful interview. Once again, weak, ineffectual, limp wristed promises to hold a vote, to hold Rosenstein in contempt. Who. Cares? Until Rosenstein is hauled off by the House Sergeant At Arms, as granted per the Supreme Court, it means NOTHING. Anyone remember Holder? Nothing happened to him. Nothing. This pisses me off to no end. Just close the fist and crush them already. What the hell is Trump waiting for?! Full weight of the House v. ARM. WHY IS RYAN STILL IN OFFICE (lame duck)? WHY IS RYAN LEAVING OFFICE? Is Ryan still there because he is going to support POTUS? Who brings the votes (House floor)? Some must remain clean (distance) from what is about to happen. No proofs collection here (pinned)? No links within each post (top)? Q, if you confirm proofs, then those on twatter, lurkers, and even those with little to no knowledge of the GREAT AWAKENING will pay attention moar and add validity to the proofs. The proofs and side by sides I see that are circulated the most are the ones you have confirmed. GOD BLESS YOU, POTUS, AND THE UNITED STATES OF AMERICA!! Why are many Iranian resistance (Freedom Fighters) tagging #QAnon on Twitter? APPOINTMENT OF A 2ND SC WOULD FAIL. They DEPEND ON WINNING IN NOV TO DEFEND/IMPEACH/STOP INVESTIGATIONS. C_A RUSSIA MASK HACK (SAME HAS CHINA SUB WASH – SET UP). WHAT THEY DO NOT ANTICIPATE IS POTUS DECLAS IT ALL DUE TO OPTICS AND ARM/MSM FOOTHOLD ON COMMS TO PAINT POLITICAL ATTACK + RUSSIA INVESTIGATION COVER UP / ADV. WE ARE HERE FOR A REASON. WE ARE HERE TO UNITE THE CORE. WHY DID POTUS NAME FAKE NEWS AS OUR BIGGEST ENEMY? THIS IS LITERALLY EVIL KNOCKING. YOU ELECTED US TO TAKE BACK OUR COUNTRY (OUR WORLD).